Ironically, in 1931 – during the year the characters in Reflection of Memories were born – only 4,000 stores in America sold books – most of those were gift shops or specialty stores that sold only a few of the best known novels. In fact, brick-and-mortar bookstores at that time numbered less than 500 – the majority of them were in major cities, not small towns. During the mid-to-late 1900s – as our nation became increasingly more mobile with better roads, affordable cars and the introduction of shopping malls, bookstores flourished and multiplied by the tens of thousands across our country. With the birth of Amazon on July 5, 1994 and the steadily rising movement to purchase online instead of traveling to a store, consumers gravitated to this more convenient way of shopping. In addition – as we entered the 21st Century – a new and unique way of reading was introduced by Amazon founder Jeff Bezos: the e-reader/Kindle. In 2007, this innovative electronic gadget had not yet taken an aggressive chunk out of the market, but gradually the small hand-held device chipped away at the profits yielded by bookstores. As a result of this double punch, brick-and-mortar bookstores found it increasingly more difficult to compete, and they steadily went out of business. Crown Books was the first large chain to close its doors (2001) As shopping on Amazon and e-books’ popularity grew, more chains collapsed — Borders (2010), B Dalton Books (2010) and Waldenbooks (2011) went under — leaving Barnes & Noble and Books-a-Million the last “chains” standing. By 2011, the number of bookstores dropped to a little over 29,000; it is predicted to fall to 22,600 by the end of 2018. Mixed in with all of this information, there is a ray of good news. According to the American Booksellers Association, the number of independent bookstores in the United States has increased 35% — from 1,651 in 2009 to 2,227 in 2015. Many believe this unpredictable comeback is due to the independent booksellers who focus on community – making a connection with their local customers, creating a more personalized experience, spotlighting local authors, hosting events, lectures, book signings and catering to the young readers including children’s story times. The most important aspect I hope you ingest from this article is . . . if you enjoy bookstores . . . and you wish to have a store in your area . . . you need to shop locally . . . support the business especially the stores that offer you convenience, comfort, a warm smile and a hometown ambiance. This brings me to another subject I wish to focus upon in this article. 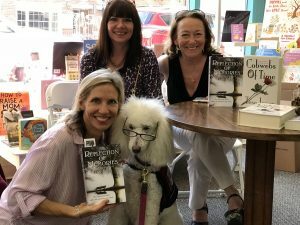 There are no bookstores in my hometown of Mooresville, North Carolina; as a result, I am constantly searching for a bookstore haven where I can savor the atmosphere and browse the aisles. The closest store in my area is a couple of exits south on I77 in Davidson: Main Street Books This is a lovely place to shop for your next favorite novel. 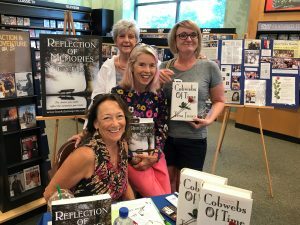 Lucky for me – if I am willing to drive a little further – there are three amazing Barnes & Nobles in the Charlotte area, To my delight, they carry copies of my novel and have hosted several book signings. If you live in the Greensboro area, I highly recommend Scuppernong Books Their calendar is packed with entertaining events. I wish I lived closer. 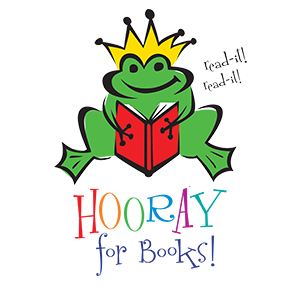 Another favorite is Hooray for Books! in Alexandria, Virginia (where I grew up and spent most of my life.) This wonderful privately-owned store originally catered to only young readers; however, it has broadened its customer base and is now stocking novels and hosting events for all ages. In fact, I was a guest author in this store last spring on Independent Bookstore Day. To my delight, it was a successful, fun-filled day. Fans lined up for signed copies of Reflection of Memories and Cobwebs of Time. In fact, a dog even dropped by for a visit. Lastly, I want to spotlight Bookmarks in Winston Salem, NC. Not only is this store innovative and packed with events, Bookmarks hosts the Festival of Books and Authors — the largest festival of its kind in North Carolina. 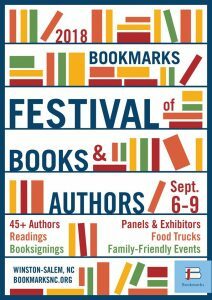 https://www.bookmarksnc.org/ This year (which is the 14th annual event) there will be 60+ authors present — all genres will be represented at this family-friendly festival. Good news! I am one of the lucky authors. 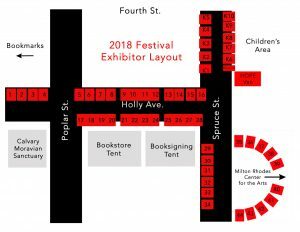 If you like historical fiction, please do drop by my booth — #32 on Spruce Street. I promise you, if you like books and a festive atmosphere, you do not want to miss this event: September 6 – 9th, plus Saturday September 8th the FREE day. Do you have a favorite indie bookstore? If so, please share the name, location and what you enjoy about the bookstore. 9 Responses to Do You Enjoy Bookstores? Great read. I love bookstores, especially the small, independent ones. The movie “You’ve Got Mail” comes to mind as I read this. Unfortunately, I live in a rural area; the closest bookstore to me is a “used paperback” store. It is owned and run by a sweet elderly couple. I visit it often. The nearest after that is a large Barnes & Nobles, a good 45-minute drive away. Wow! I know how you feel. My closest Barnes & Noble is 30+ minutes away. I definitely feel your pain. Thanks for spotlighting “You’ve Got Mail” in your comment. I haven’t seen that movie in forever. This weekend might be a good time to watch it again. It’s been ages. Technology sure has changed since Meg Ryan and Tom Hanks made that movie! I love bookstores. Can stay in them for hours. Luckily, I have always lived in a place where one exists. Now I live in Germany, and I must admit, if it were not for Amazon, I would not have access to a tenth of the books I have…especially on the craft of writing. Nevertheless, I do try to patronize brick and mortar when I can. Remember the movie You’ve Got Mail, with Tom Hanks and Meg Ryan? I love the movie, but I will never forgive them letting that gorgeous bookstore die. It hurt me to my heart to look at. Liza — it seems my blog has inspired many comments about Hanks and Ryan’s “You’ve Got Mail” movie. Funny . . . I wasn’t thinking about the movie when I wrote the article. Memories are magical — love that — even though we do not know each other personally — those shared moments we experienced in separate places — connect us. BTW — different subject — when I was little, I lived in France — in a little town outside of Paris. According to my mother, I was fluent in French and chatted away with all of my girlfriends. LOL — she didn’t understand a thing I said to them. We visited Germany — so beautiful! As a teenager, I returned as a member of an exchange student program and I toured Italy, France, Switzerland and Germany. Very special time for me. Hope you are enjoying some glorious spring weather. It has finally arrived. I do absolutely love Main Street Books and wish I could go over there more often. Since the new ownership took over they are doing so many neat new things – even writing classes!! So glad you posted this about Main Street Books in Davidson . . . please spread the word about this fabulous bookstore. Bookstores are great. Glad to hear that independents are growing…thanks for spotlighting this ray of hope.